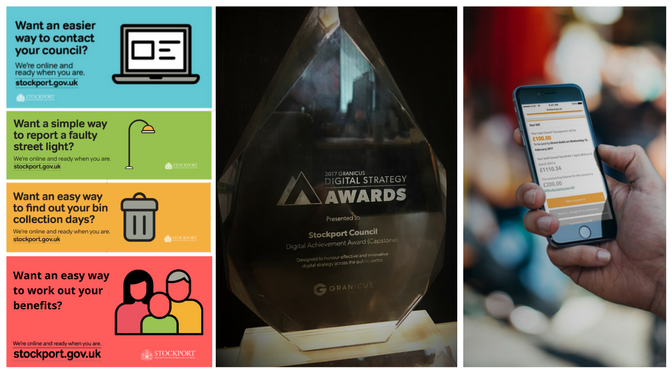 It’s always great to feel you’re doing something right, which is why we are delighted our innovative approach to using digital has earned Stockport Council the Granicus Digital Achievement Award 2017. The Granicus Digital Strategy Awards honour effective and innovative digital strategy throughout the public sector and we have been awarded the top title, the Capstone Award, after introducing our range of new online tools and services and their effective communication to residents. This award recognises the work the Digital by Design programme has been doing to make it easier for local residents to access council services and for leading the way in public sector digital outreach and engagement with citizens. It is a validation of our ongoing conversation with users, via feedback, research and analytics, which ensures that communication is a two-way process. Self-service digital reception at Fred Perry House reception provides free to use devices, Wi-Fi & charging points, staff trained to help use the Council websites. As part of our citizen experience-focused digital strategy we drip-fed ‘soft’ Comms as each new website and digital tool was released. By promoting it to small samples of our target audience and engaging with them to elicit feedback, we improved, refined and developed the new digital services and ensured they met user need. 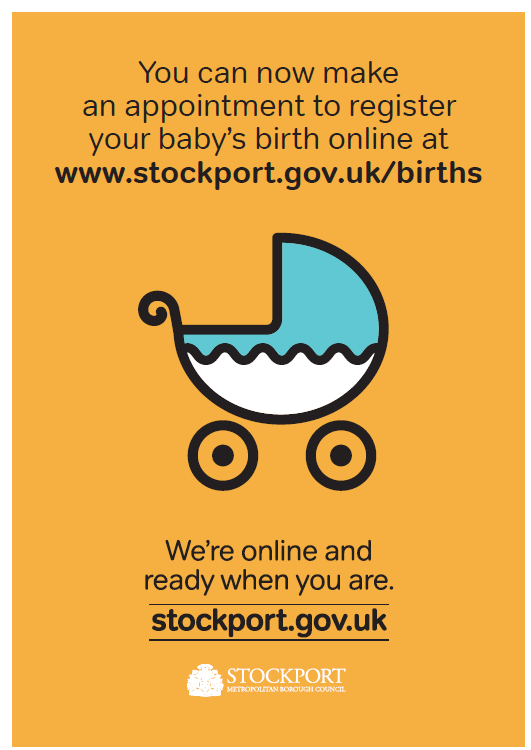 Citizens were again consulted as we prepared our Communications and Marketing campaign for the wider release of our new digital offer to the general public and the award also recognises our multi-pronged communications campaign which we used to launch our new online offer and encourage Stockport residents to use the website as ‘an easier way to contact your Council’. We will continue to point out the benefit that ‘We’re online and ready when you are’ in all our ongoing communications – look out for our new social media campaign coming soon.